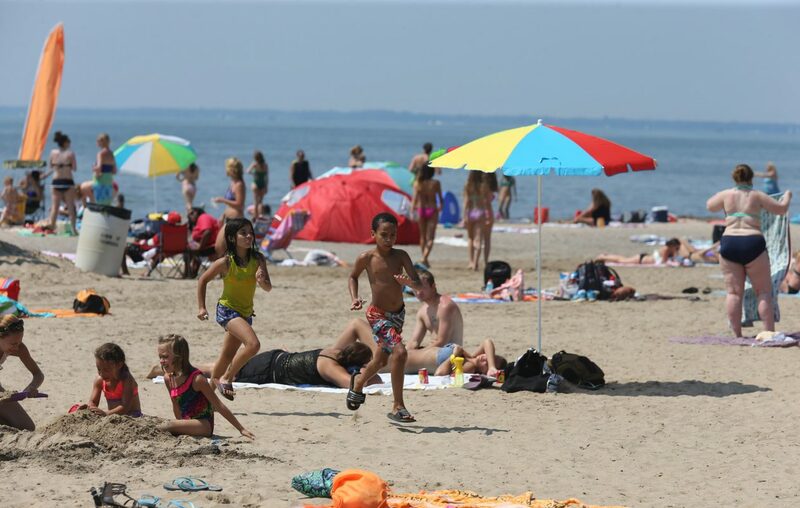 Hamburg will not be operating Woodlawn Beach State Park after this year. The Town Board Monday voted, 3-2, to end the partnership that had the town running the state beach for the past eight years. "The trend lines of the operation of the beach over last two years have not been encouraging," said Supervisor James M. Shaw, who cast the deciding vote. Losses at the beach averaged about $200,000 a year for the past five years, town officials said. The town has been negotiating with the state for seven months, and the state agreed to spend money on capital expenditures, utilities and some maintenance. Mark V. Mistretta, western district director of the state's Office of Parks, Recreation and Historic Preservation, told board members at a work session before its regular meeting that the state would operate the park if the town did not. Mistretta said the state committed to spend $500,000 annually for the next six to seven years for capital projects, such as a roof, parking lot and landscaping, and $283,000 to purchase equipment over the next eight years. Among other agreements: the state approved a $1 increase in the parking fee; the state would include the park in its overall marketing campaign; and any surplus the town receives, it would get to keep. The original agreement called for the state to receive any excess funds – but town officials said there never were any surpluses. The state committed to improving the public address system, installing an automatic gate, redesigning the parking, looking at boardwalk and playground improvements and installing a bathroom and shower in the grove area. But it was not enough for Shaw, and board members Tom Best Jr. and Michael Mosey, who voted to end the lease at the end of this year. A town analysis concluded the loss if the town ends its involvement could be $93,905. If operations continued as they had last year, the loss would be $197,478. The best case would be approving a new agreement, which was estimated to lose $70,649. Board member Beth Farrell also said there might not be the savings taxpayers will expect, if there is not a plan on how to save money. "Nobody has talked about the lost revenue. Unless we vote the contract down but do that with a very specific plan on how we're going to cut certain expenses, we’re going to be no better off," she said. Farrell and board member Michael Petrie voted to continue the lease – both noting that if it did not work out, the town could cancel it with a 90-day notice at any time. The state agreed in 1994 to buy the 92-acre site for $6.2 million and the park opened in 1996. But when faced with a fiscal crisis in 2009, the state eliminated swimming at the beach, turning down the town's offer to provide lifeguards. The beach was threatened with closure again in 2010 until the state came up with money at the last minute. By December 2010, then-Supervisor Steven Walters had negotiated a 10-year agreement with the state for the town to operate the state park, after the future of the beach was in jeopardy because of the state's financial crisis. The beach was seen as a valuable recreational resource for the town, bringing tourist dollars to Hamburg.